An Excel chart is a graphical representation of numbers, which visualizes your data in selected data table. Sometimes, we create a chart with MS Excel, but we don't really want to share the whole Excel file except for the chart. In such a case, we can export charts as image files for easy sharing. In the following section, you will learn how to save your Excel chart as an image in C# and VB.NET via Spire.XLS. 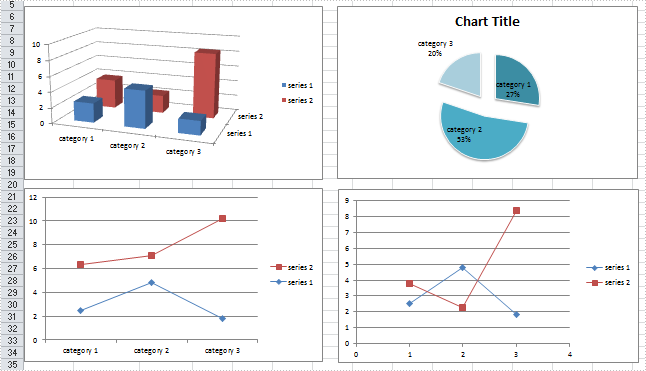 In the test file, I have created four different type of charts based on a same data table. Then, let’s see how each chart can be saved as an image with code. Step 1: Create a new workbook and load the test file. 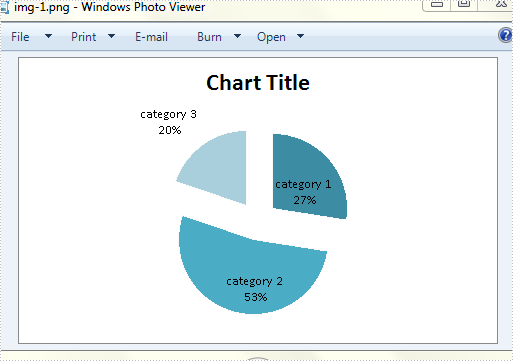 Charts have been saved as images in bin folder.